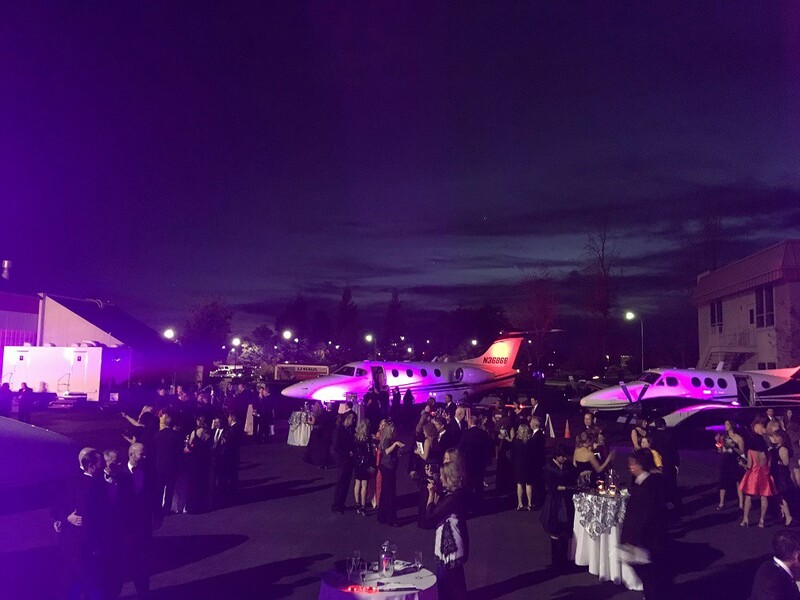 Support Saint John’s Program for Real Change by attending its annual Party for Change fundraiser on Saturday, Nov. 4 from 6 p.m. to 10 p.m. at the Sacramento Executive Jet Center (6133 Freeport Blvd.). General admission tickets are $250 and VIP tickets are $350 with exclusive perks like access to the premier raw seafood bar that features fresh oysters and handcrafted cocktails. Visit www.saintjohnsprogram.org and click the events tab for more information. It’s always fun to dress to the nine’s and hit the town with friends, so this weekend join the annual Saint John’s Party for Change where men and women are heartened to suit up and don elegant evening wear to raise funds for the nonprofit’s Program for Real Change, which operates Sacramento’s largest shelter for women and children in crisis. For over 30 years, Saint John’s program has changed the lives of more than 33,000 women and children in need by offering temporary housing, education, and job placement services. In June 2017, Saint John’s was able to expand its facility in order to assist 1,000 women and children each year. But, for Party for Change Committee Chair Glenda Corcoran, at the end of the day there are still women and children who unfortunately go without. This weekend’s black-tie soiree is Saint John’s biggest fundraiser of the year, so straighten those bowties and bust out those chic gowns to attend one of Sacramento’s most charitable events that benefits a program that not only provides a mother and her children with a safe place to rest their heads at night, but also a chance for a brighter and more independent future. This weekend’s Party for Change is true revelry with a purpose. Here are five more reasons to join in on this weekend’s entertainment to support the Saint John’s mission. 1. Celebrity Chef Dinner: Enjoy a seasonally inspired dinner made from locally sourced ingredients from Chef Santana Diaz. Formerly of the Golden 1 Center, and the man behind the elegant Farm-to-Fork bridge dinner, Chef Diaz was also the head chef at Super Bowl 50 in 2016 and is now the executive chef for UC Davis Health. 2. Mesmerizing Entertainment: Attendees will be transfixed by the ambient moves of Sacramento Contemporary Dance Theatre’s aerial performances. Three aerialists will gracefully execute acrobatics as they hang high above the ground from silk tapestries. Artistic director and choreographer for SCDT Jacob Gutierrez-Montoya says there will also be a 28-member dance team dressed in French carnival-inspired costumes performing a jazz number to get the party started. What’s more, San Francisco magician champion Ryan Kane will be walking around captivating attendees throughout the night while Las Vegas DJ E-Noc entertains with his video projections and high-energy music. 3. Bid to Win! : A live auction with incredible items up for grabs includes travel and dining experiences like a Four Seasons San Diego trip, food truck lunch for you and 20 friends from Culinerdy Cruzer’s Chef Keith Breedlove who appeared on the Food Network TV series “Cutthroat Kitchen,” a David Garibaldi Studio Experience, an exclusive in-home dinner with Chef Diaz, a Cabo San Lucas trip, tickets to Jimmy Kimmel, and more. 4. Be Inspired: Hear inspirational stories from Champions of Change Award Honorees Russell Austin, Marcy Friedman, and Saint John’s Program for Real Change success stories from formerly homeless women. Sacramento Contemporary Dance Theatre singer Ryan Allen will also perform a duet alongside the daughter of a woman who benefited from Saint John’s. 5. Support the Mission: By attending the annual Saint John’s Party for Change, attendees directly support the many homeless women and children in Sacramento. Tickets are $250 for general admission and VIP tickets are $350 with all proceeds going toward the nonprofit’s Program for Real Change that includes shelter, mental and emotional health services, education, and on-the-job employment training. For more information visit www.saintjohnsprogram.org.